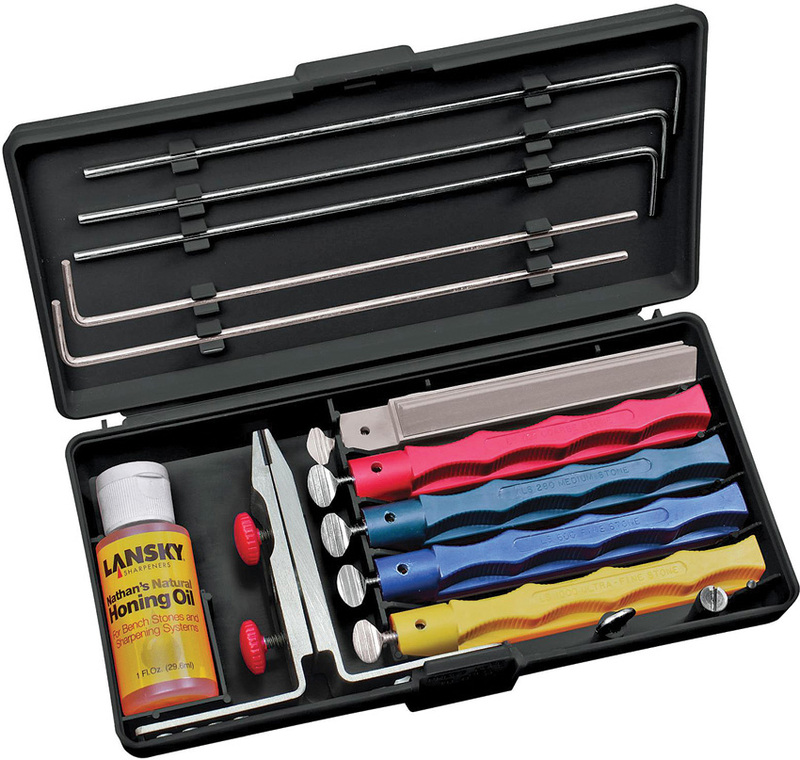 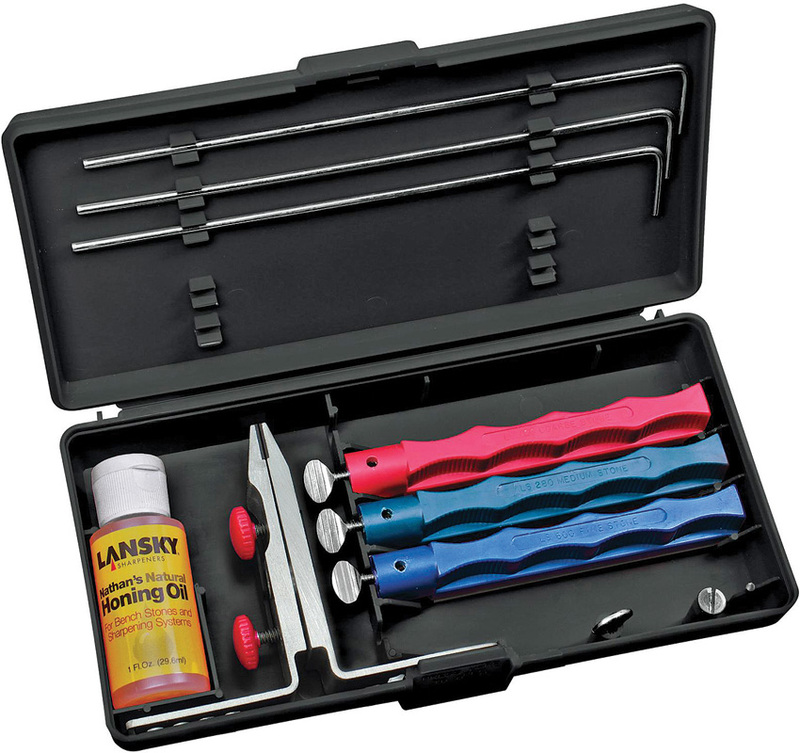 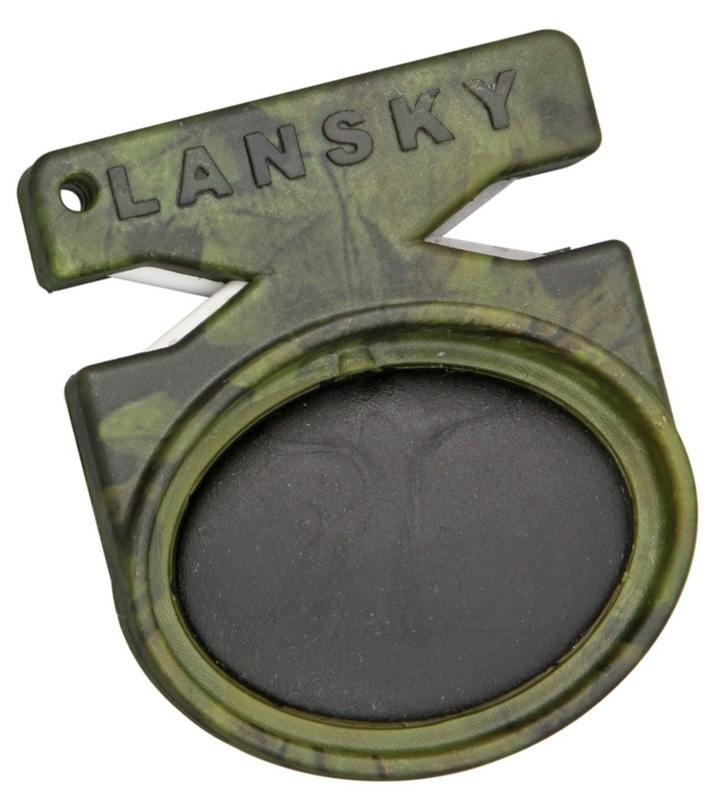 The Lansky field case is a great addition to any Lansky kit. 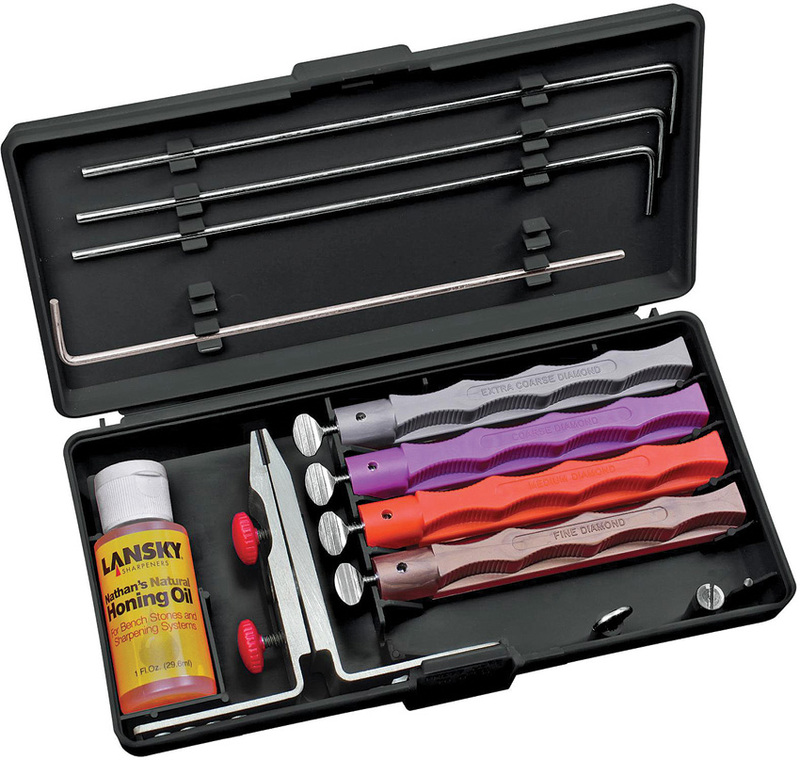 It measures approximately 6 1/2" high x 7" wide and is designed to hold a complete three-stone Lansky Sharpening System including multi-angle, flip-over knife clamp, guide rods and honing oil. 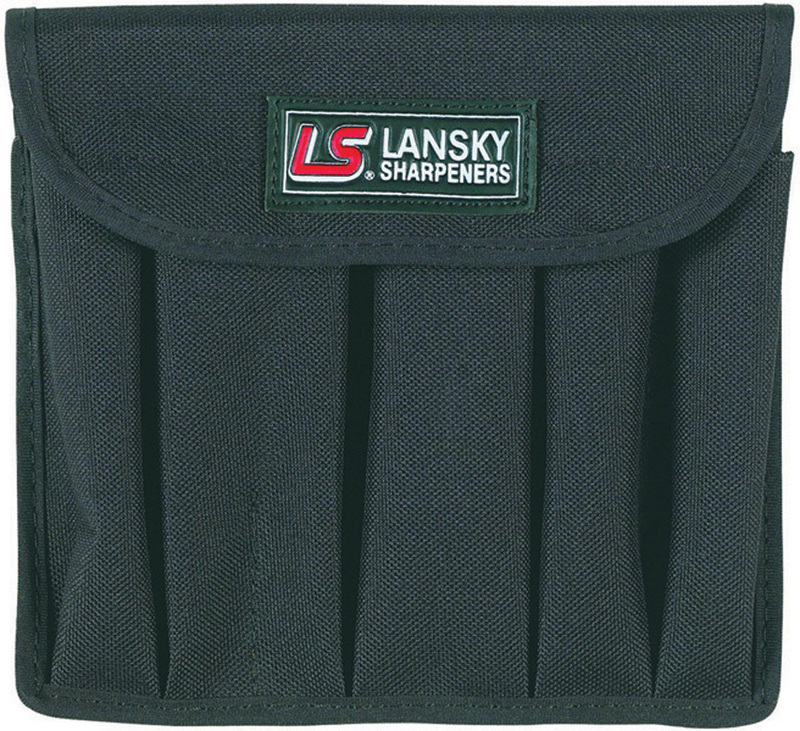 It is of black nylon construction with Velcro closure and two 2 1/2" wide belt loops.